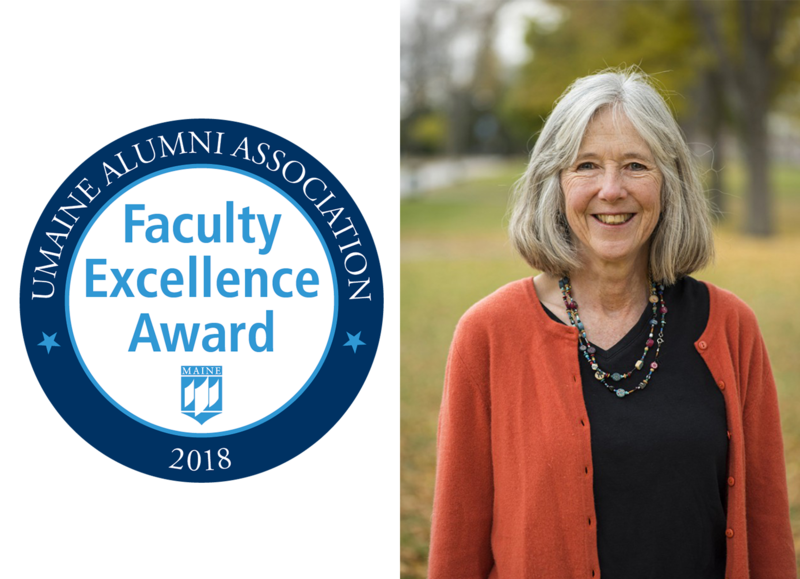 Prof. Mary Ellin Logue ’74, February recipient of the Alumni Association’s Faculty Excellence Award, is concerned with not only the UMaine students in her classroom but also very young students in their learning environments. Her particular interest and area of research is how different social and physical environmental characteristics impact young learners and their role in student success. She studies how different educational environments, including the customs of childcare and education, teacher attitudes, and the attitudes of caregivers and other students, impact these young children. As both a researcher and former elementary school teacher, she seeks ways to expand access to school success for children. Logue is the director of the School of Learning and Teaching and February recipient of the Alumni Association’s monthly Faculty Excellence Award. Raised in Orono, she credits the late Professor Maryann Hartman for encouraging her to attend college, strive professionally, be politically aware, and to advocate for others. After graduating from the University of Maine, Logue earned advanced degrees out of state. She returned as a member of the faculty in 2002 after working on educational policy initiatives at the national level. Logue is continually reminded of the important role that teachers play. Whether her students strive to emulate their teachers or choose a different model, she says she feels privileged to watch them find their own professional identities. Her advice for students is to get to know their professors, who can support students’ learning. She also encourages students to explore new ideas, meet new people, take chances, develop the skills to work with diverse partners, and learn from their mistakes. Sponsored by the UMaine Alumni Association and University Credit Union, the Faculty Excellence Award is given monthly to a faculty member whose work contributes to UMaine’s national reputation for excellence. Selections are made in consultation with the university’s academic deans.